Bice LAZZARI (1900–1981) was one of the most innovative Italian abstractionists of the 20th century. 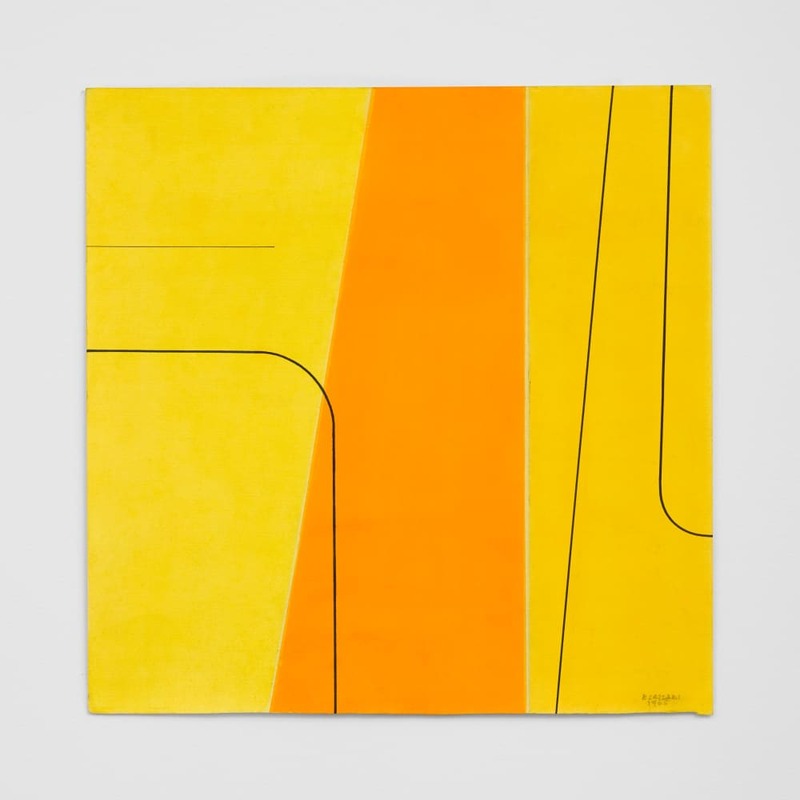 Described as the “Agnes Martin” of Italy, she was largely unknown outside her country of birth, despite the significant contributions to Abstract and Minimal Art. Lazzari began her training in Venice during the 1920s. As a woman, she was advised not to pursue figurative drawing and to become a designer. In 1935 Lazzari moved to Rome, the centre of the Italian art scene, and started to receive commissions from Gio Ponti and Carlo Scarpa. In the 1950s, she returned to painting, creating abstract compositions that encompassed the gestural techniques of Informalism. Lazzari worked with oil paint until 1964 when she was forced to stop due to the damaging effects to her eyes. Forced to retrain with a new medium–acrylic paint–she turned to hard-edge abstraction. It was in the last fifteen years of her life that she arguably made her most important works and some of the most important works produced by a woman artist of the time. In 2013 The National Museum of Women in the Arts, Washington D.C held the major solo exhibition 'Bice Lazzari: Signature Line'. Her work is included in notable private and public collections worldwide.